Tennesseans have many things to be proud of. Being healthy is not one of them. In fact, according to the Centers for Disease Control, we are one of the least healthy states, and have been for the last 20 years. As a result, we’re now facing an epidemic of preventable chronic diseases, including diabetes, heart disease, obesity and even some forms of cancer. That’s where “Healthier Tennessee” comes in, and where the College of Professional Studies can get involved. The movement, spearheaded by Gov. Bill Haslam and managed by local communities, encourages all Tennesseans — including schools and workplaces — to make some simple choices that can create some big differences. In conjunction with Mayor McMillian’s “Clarkswell” initiative, PR Director Cindy Chambers was invited to represent Bethel University on Public Square. 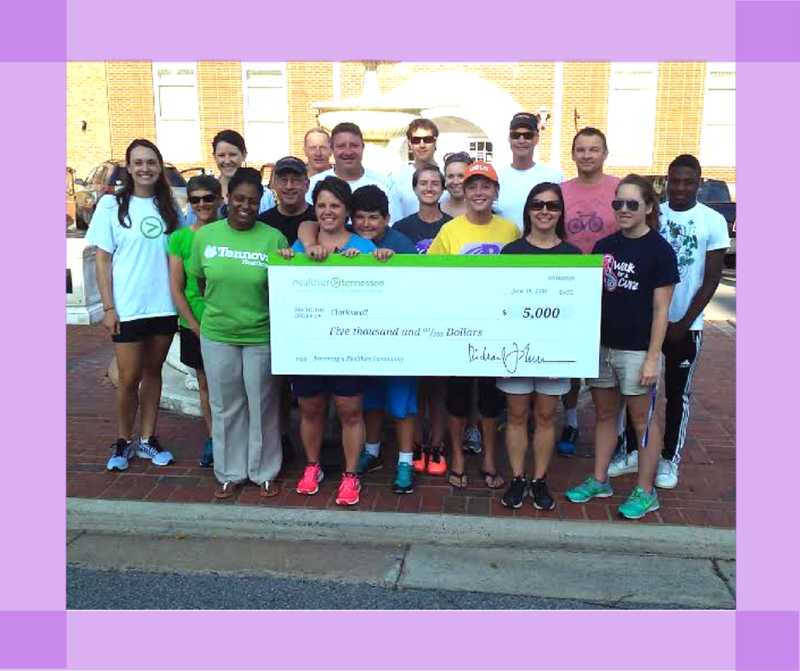 PR Director Cindy Chambers is among those determined to “Start Small” to grow stronger. She went to the Small Starts online toolbox and found an easy-to-use website that includes activities to help workplaces develop better habits while tracking progress toward certification. There are more than 60 small starts choices that employees can choose from, and the Clarksville campus is now just two checkmarks away from success. 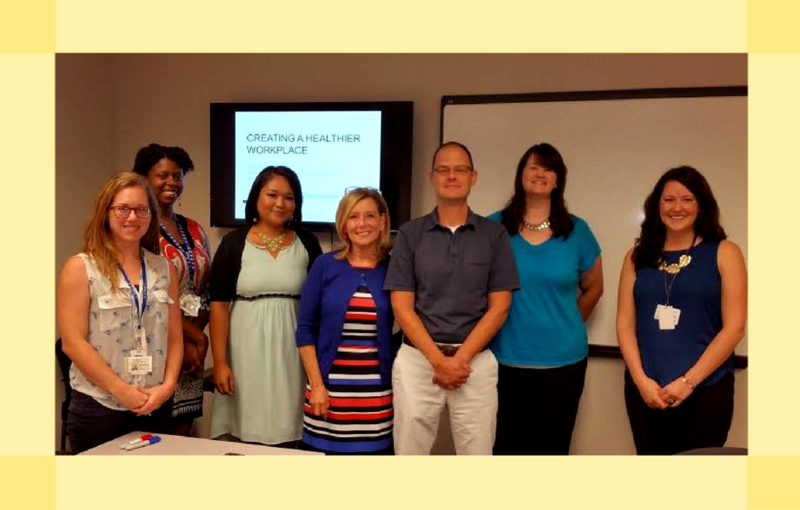 Megan Carroll, a state healthcare specialist, showed participating employees Sylvana Matthews, Cindy Chambers, Terry Morris, and Lisa Davidson easy ways to reduce stress and make healthier lifestyle choices. This entry was posted in News and Information on August 4, 2016 by bethelu.